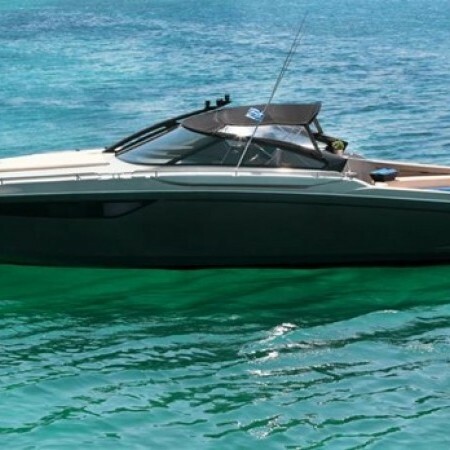 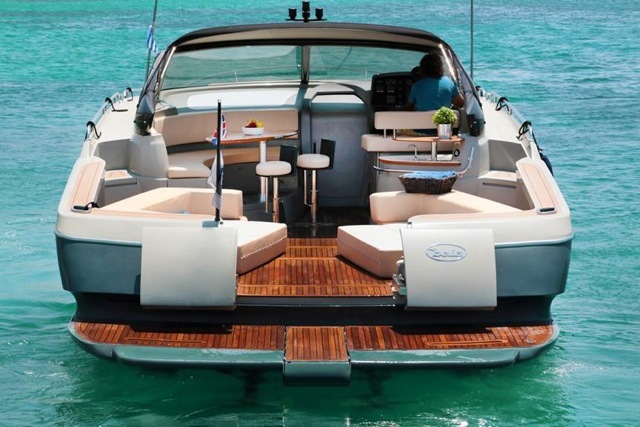 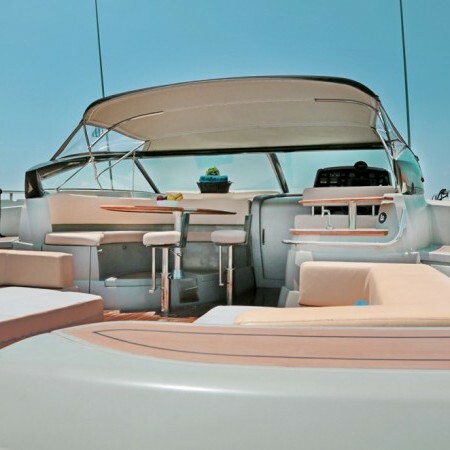 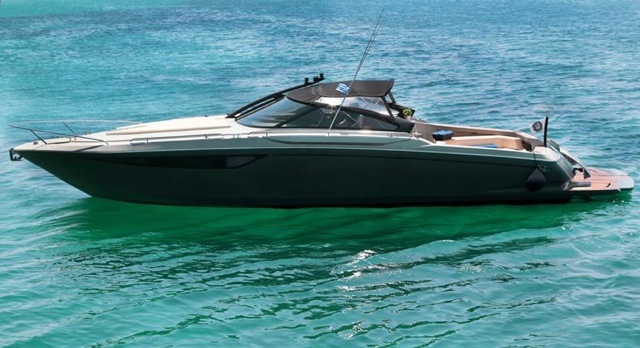 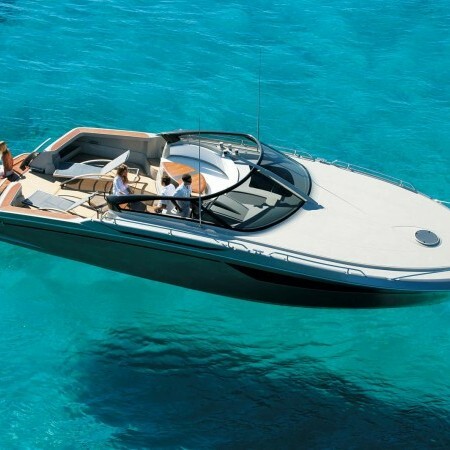 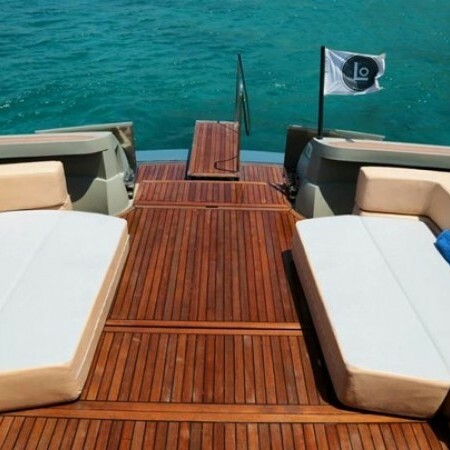 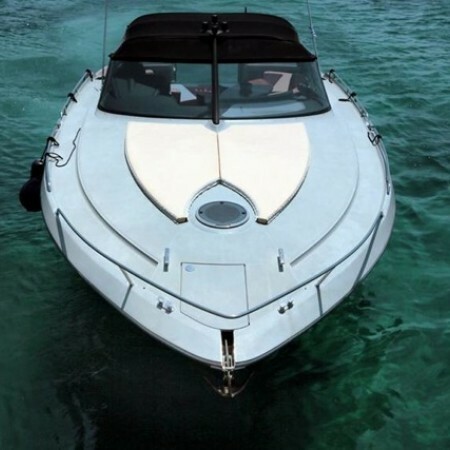 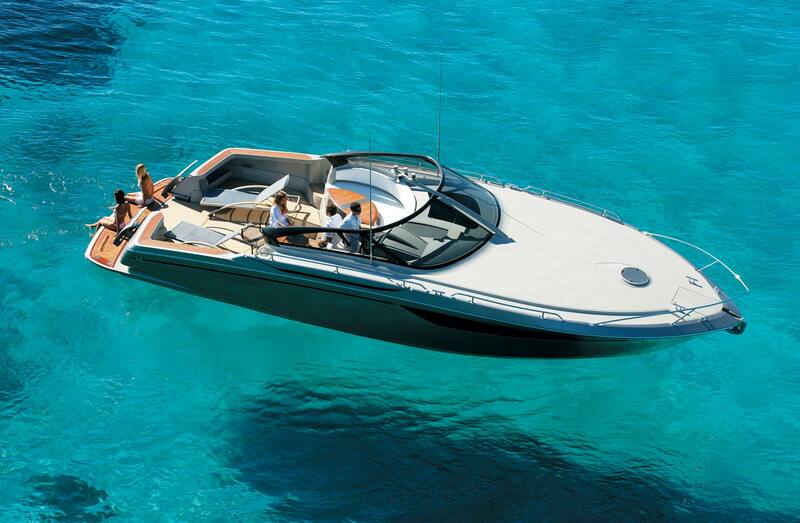 The Baia 43 ft is “the’’ open cruiser that can be enjoyed all day long untill the last ray of light! 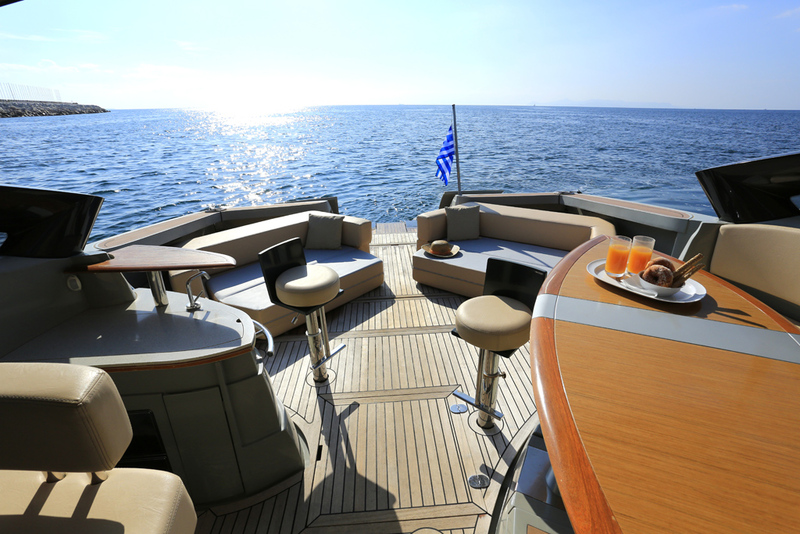 With 14 meters in length, The Baia 43 offers a spacious terrace over the sea, the absolute largest in its category. 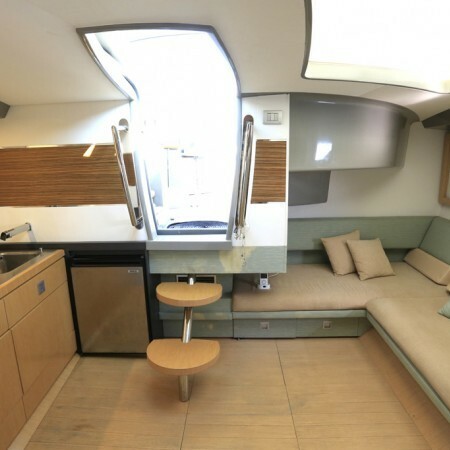 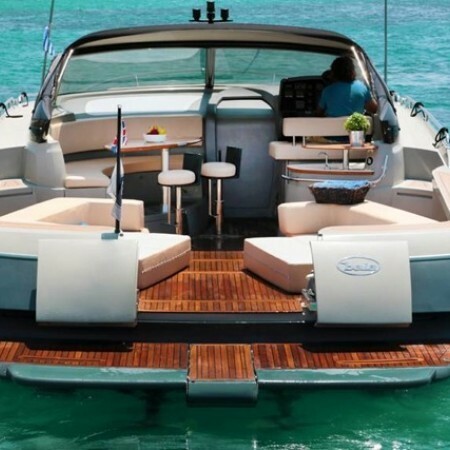 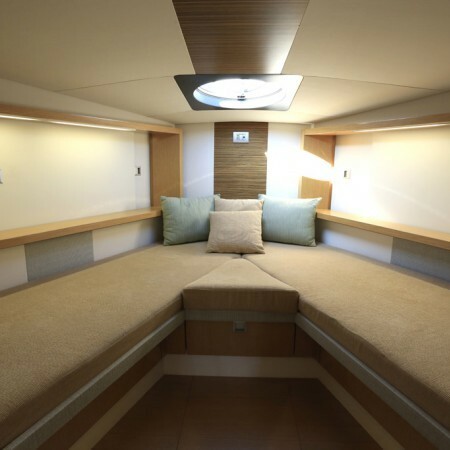 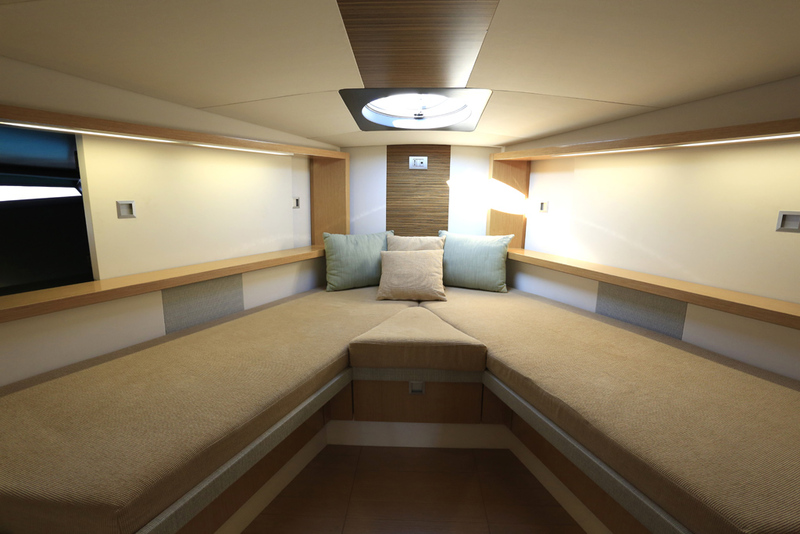 With an oversized versatile cockpit (wet bar and table with sofa), cockpit & platform become a single environment, providing easy access to the water. 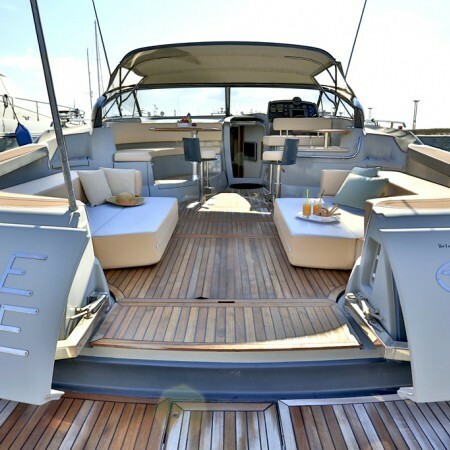 The BAIA One amazes for its design & the high quality of its interiors. 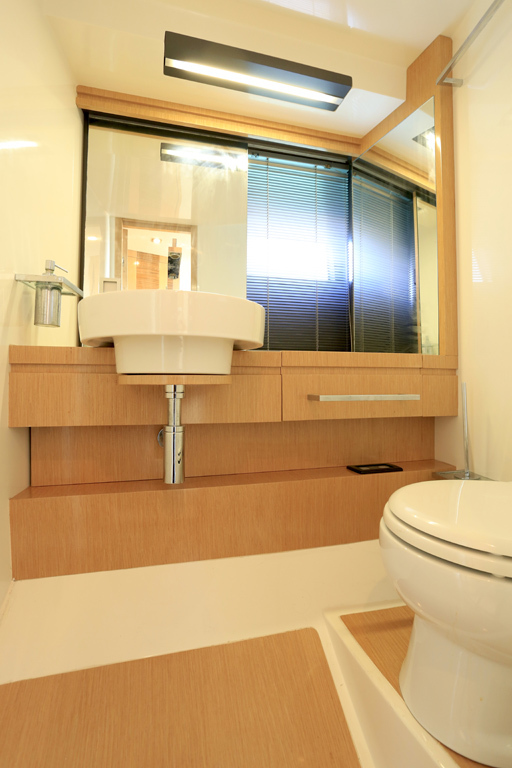 Its spacious and well-furnished cabin includes a bathroom and shower with its own entrance. 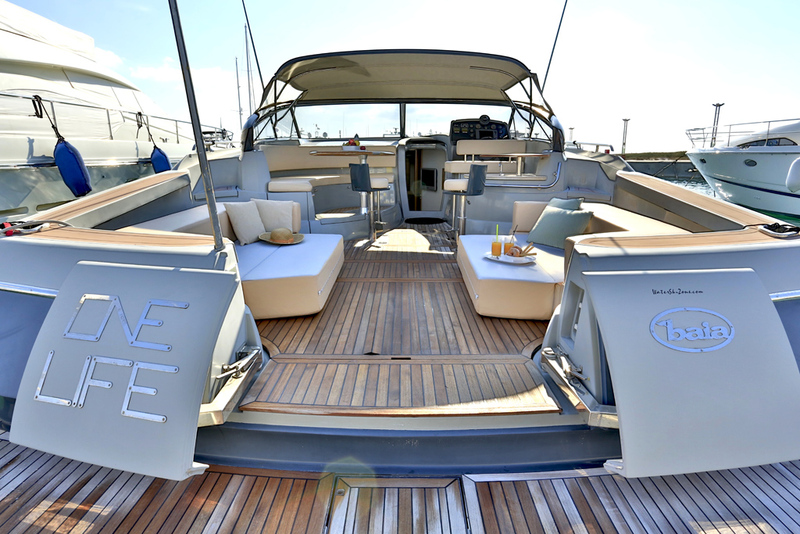 Thanks to the double opening at the stern, the cockpit and platform become a single environment, providing easy access to the water and great for those who enjoy diving. 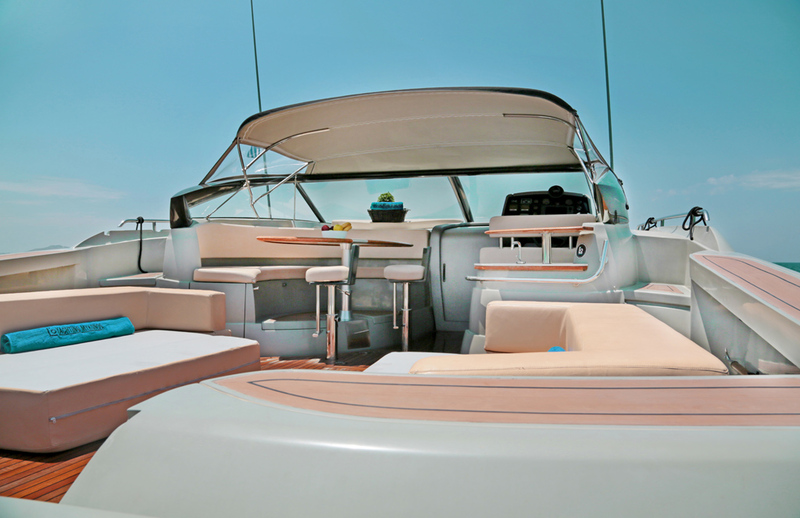 The carbon windshield is incredibly innovative, ultra light and resistant for a 360° view. 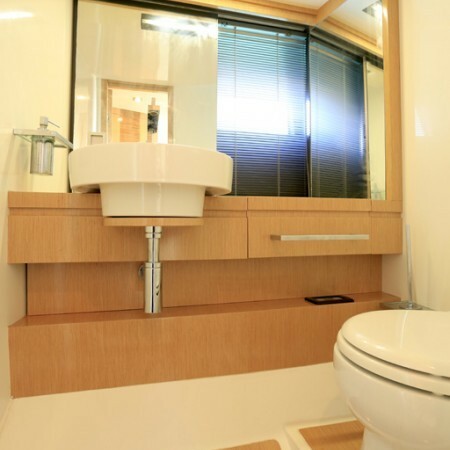 Inside, One also amazes for its design, the high quality of its interiors and the total privacy. 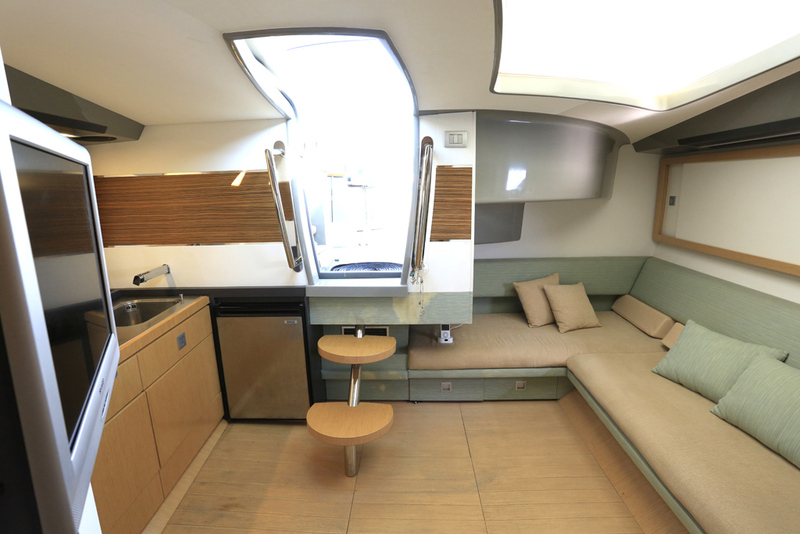 The very modern and well-lit living area is divided into two areas: the sitting area with a double L-shaped sofa, which can also serve as a guest bed, plus a bar with an espresso machine, fridge and microwave. 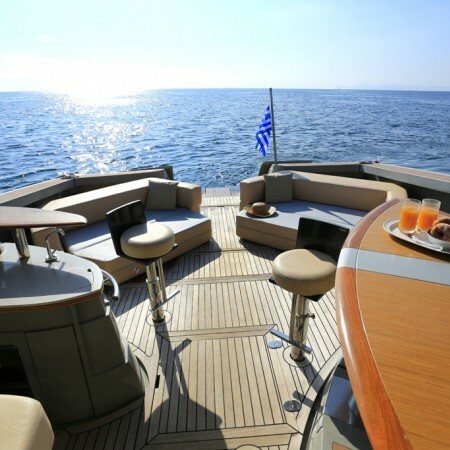 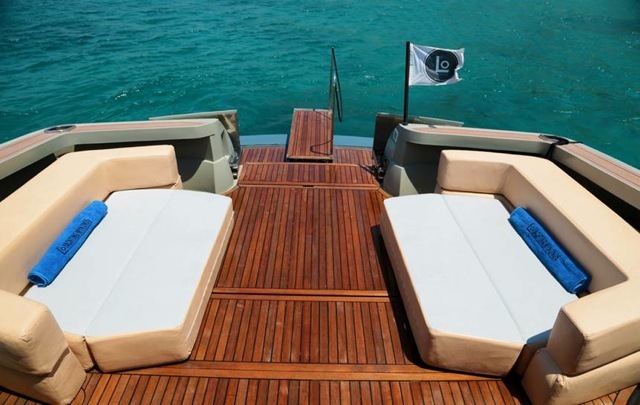 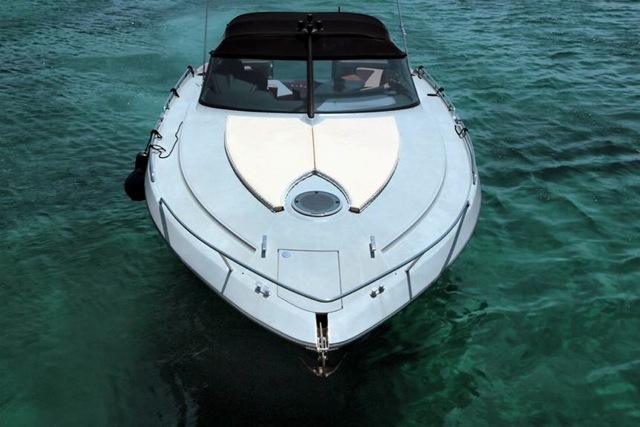 ✔ The Day Cruiser to enjoy the sea all day long, right up to the last ray of sunshine!